This medium-capacity freezer produces the highest quality ice cream, gelato, sorbet, italian ice or sherbets. Audible alarm plus adjustable torque control. 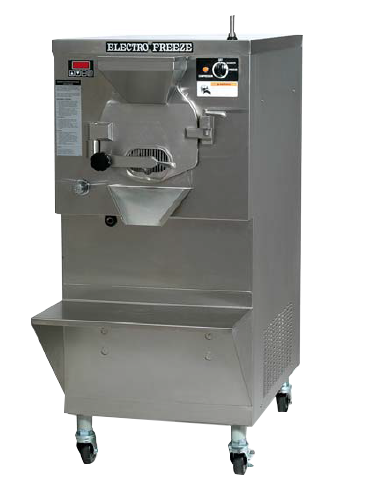 This high-capacity ice cream batch freezer is simple and efficient, making it perfect for gelato, custard and water ice shops. Backed by a world-wide distributor network. There's a reason the most successful frozen dessert store owners use the Electro Freeze line of ice cream batch freezers.